Sign and Art can create all types of PVC banners & Vinyl Banners from mesh building wraps or drapes to suspended or framed banners or floor standing banners which are portable and therefore ideal for use at events. 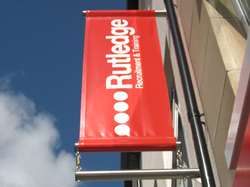 We can produce banners to any size requirements with very fast turnaround. If you have a design or artwork our skilled experts can work with you to ensure your message is translated perfectly to the perfect banner.